Straight from the mountainous heartland of US cyclesport, Colorado, Pactimo has been creating custom cycling clothing for more than 10 years. The emphasis until recently has always been on ‘custom’, and Pactimo established a successful business providing kit for clubs and teams, as well as individuals. 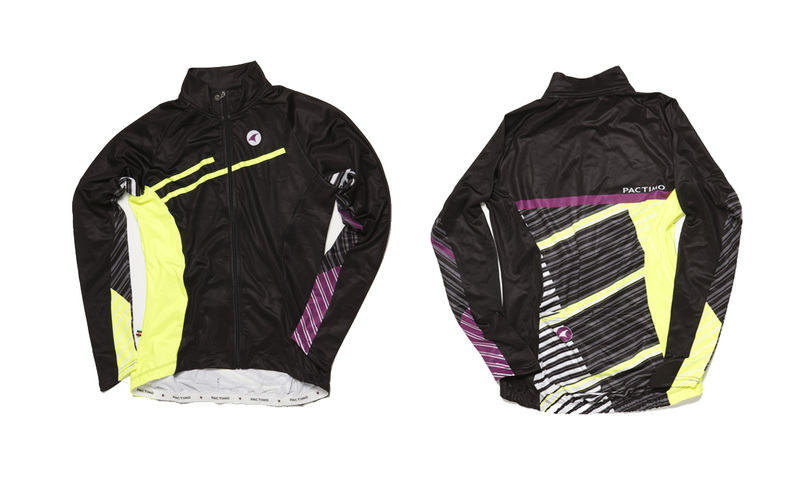 Pactimo is branching out though, and its clothing is now available off the peg. The UK online shop features an extensive range of clobber, from jerseys and shorts to bibtights, jerseys and accessories like caps, gloves and arm/leg warmers. Summer jerseys and shorts come under three different classifications – Summit, Ascent, and Tour, for ‘premium’, ‘pro’ and ‘sport’ level use respectively. There’s also an Alpine series for colder weather. It’s all very aspirational, but it’s not all about posing on the cafe ride or club run – Pactimo is currently doing its philanthropic bit through sales of its ‘Fight Ebola’ jersey, whose £80 swingtag includes a £15 donation to ebola relief. The brand says that innovation is at the heart of everything it does. At a custom level this apparently included concepts such as guaranteed good fit and unlimited colours at no extra cost – we’ll be interested to see how this kind of innovation translates to its retail operation. Of course, we couldn’t bring you the lowdown on Pactimo without sampling a few items, and with the mercury in freefall its UK distributor, Dig Deep Coaching, was kind enough to send us some winter kit. The Breckenridge jacket (£95) is a smart, lightweight cool-weather jacket that’s new for 2015. 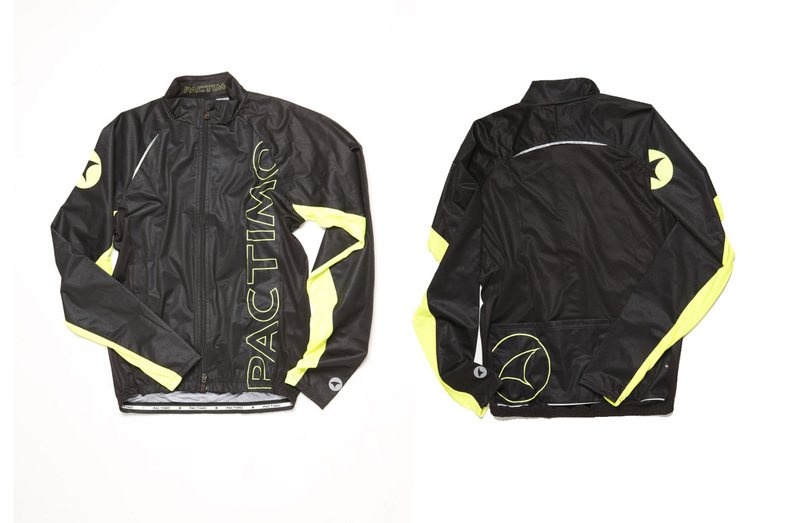 Pactimo claims it’s both wind and water resistant, and good for temperatures from 4-15deg. That seems about right, though the back panel seems very lightweight for such low temperatures and it certainly isn’t waterproof. The fluoro detailing goes some way to offset the rest of the garment which, being black, is rather dark for winter riding. The Alpine RFLX bibtights (£115) are constructed from a thermal fabric that feels a bit like Roubaix, and feature a band of Pactimo’s own RFLX reflective material around the thigh, immediately giving them a lead on most of the competition when it comes to winter riding. Security and snugness at the ankle is addressed in the most thorough terms, with YKK zips and foot stirrups, while the Cytech’s Liege Carbonium chamois takes care of seating comfort. A women’s version of the Alpine RFLX tights is also available (£80), but it doesn’t come with bibs or a pad. 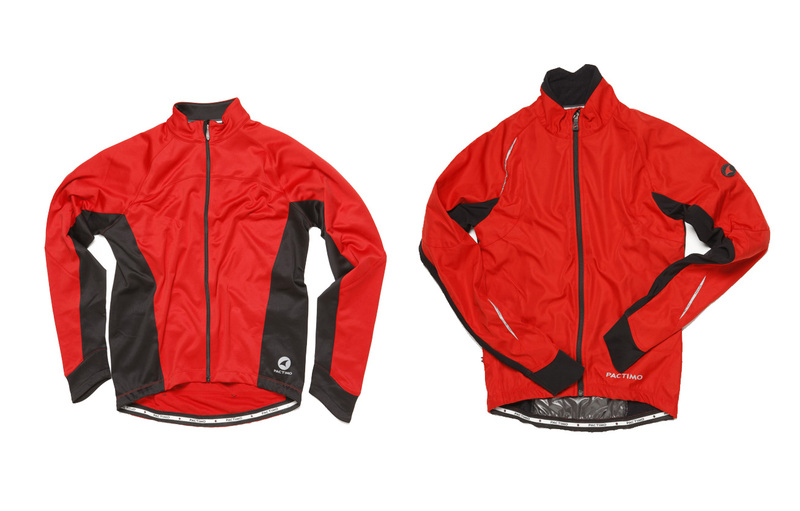 The Cascade jacket (£125) is a full-on winter garment, good for the coldest rides. A wind and waterproof front panel helps fend off the worst, while a fleece back panel keeps you toasty. With a high collar, reflective trim and jumbo zipper tabs for gloved hands, it looks like all the jacket you’ll need when Jack Frost rears his head. The long-sleeved Pactimo Alpine jersey comes in both men’s (£65) and women’s (£70) versions. A thermal and breathable garment that can be worn alone in autumn or spring, or under a jacket in the cold weather, both versions feature a full-length zipper and rear pockets. The women’s only comes in one colour but features a high collar plus a fluoro design and a Pactimo logo, while the gents’ is a simpler block colour design in either black or dark red with a standard collar, which might account for the price difference. 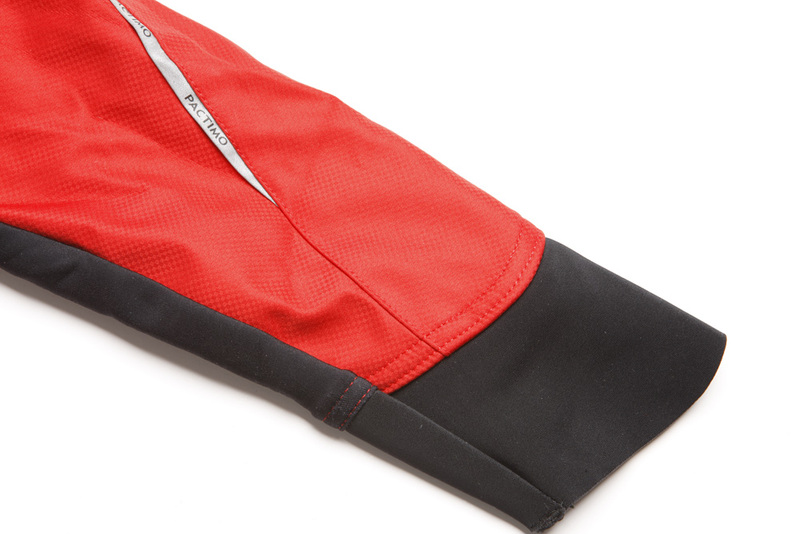 Topping things off is the Alpine Thermal Cap (see what we did there?). It’s another new for 2015 item from Pactimo and blends racing cap with skullcap, offering that all-important protection for your ears as well as protecting your face from the inevitable wintry precipitation and some of the crap coming off your mate’s back wheel. 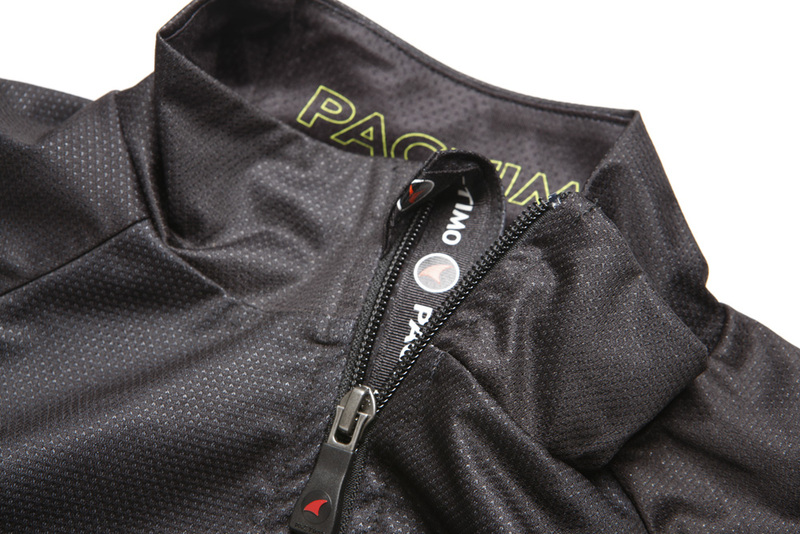 A warm head on the bike at this time of year is just about priceless, but thanks to this Pactimo item you can have one for just £18. Not bad.